At work I would see countless women walking around shopping with their babies and their mums. Lots of people seem to make a day at the shopping centre a designated grandma day and why not - it gives the baby a change of scenery, its an excuse to get out of the house and its a good way to catch up with your mum. Win win situation all around really (except maybe once the kids get old enough to throw tantrums). I was always so jealous of these women. Partly because I didn't have a child and desperately wanted one, but moreso because these women obviously had a good relationship with their mum. Something I'd been longing for my whole life. I've written in the past about how my relationship with my mother was strained growing up. I'm not sure if she realised I perceived it that way, but it always felt that way to me. I've always wanted to have a close relationship with my mum. I'm not sure if that stems from the fact that I didn't have a dad or if its just an instinctive thing for a girl to want to be close to her mum. Either way I never felt like I had it, but I never stopped wanting it and hoping that it would eventually happen. Once I got pregnant I thought that everything would change. Now there would be a reason for mum to want to spend time with me, even if the reason wasn't me but was my baby. Afterall she would have to spend time with me to see my baby so I would at least feel like we were closer than before. There was a part of me though that knew this wouldn't happen. I kept reminding myself not to get my hopes up because why would something that hasn't eventuated in the last twenty something years all of a sudden come to fruition just because one single thing changed. Admittedly a baby is a big and life changing event and while I knew it was going to change my life, I didn't want to get too excited that it would fix our relationship as well. I wanted to protect myself from the disappointment if nothing changed, but still the little girl inside of me longed for my mum. Of course when bub was born nothing really changed. She didn't really seem that interested in her at all. Instead of just feeling bad for myself that our relationship didn't change I also started to feel bad for my daughter that she too might end up having a strained relationship (with my mum) like I did. It wasn't fair on her. She was already going to miss out on having a grandfather, I didn't want her to miss out on her grandma too. My heart was breaking all over again. Fast forward a few months and I'm happy to say that things are finally changing. A few unfortunate incidents occurred in my life and mums recently, but the silver lining from this is that we now have more time to spend together and mum is wanting to spend more time with me and bub. Its nice to have the time to talk to each other. We've discussed a lot of things about the past and I'm seeing things from her perspective and learning a lot of things that I didn't know as a child. Also the fact that I'm a mum now means that I see my relationship with my own mum in a different light. We still have a long way to go to get to being really close, but you cant expect everything to happen overnight. I'm just happy that we get to see each other on a weekly basis now instead of every few weeks and the time we spend together is meaningful. I'm also over the moon that she is now taking a keen interest in bub and that they play together a lot. Its very heart warming for me to see my mum creating such a nurturing relationship with my daughter. It's nice to see the loving side of my mum when she plays with her. The little girl that still lives inside me is now optimistic that I may finally be forging the relationship I've always wanted with my mum. Its better late than never. Sometimes when all hope is lost people surprise you. Things can always change for the better if you don't give up hope. 'm glad that you and your mum are working at having a good relationship with each other and with your child. Don't expect Rome to be built in a day because it wasn't. People will always be people and some will change through circumstances and some will not. It's good that your mother is now opening up to you and discussing some of the issues from when you were small. It will help you to understand what she was going through and how this had an impact on her relationship with you. Just make sure that your slate is clean, so one day you can stay in all honesty that you did all you could to have a good relationship with your mother and for her to do the same with her granddaughter without regret. Life is too short for anything else and I'm hoping that everything does work out very well for all of you. I will never get my childhood years back so she can never be the mum I longed for then but I'm hoping we can now have a better relationship as adults. Lovely post, Toni. I'm so glad you didn't give up on your mum and are working towards a close relationship. It really will benefit your daughter. And isn't it funny how motherhood gives us a new perspective on our own mothers. 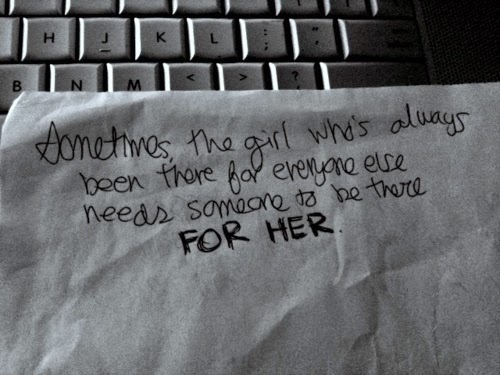 I could never give up on her even if I wanted too (that was really frustrating at times when I felt so ignored). I think she is also seeing me from a different perspective now im a mum too. Thanks for stopping by Rhian. Yes things are definitely heading in the right direction. Lovely to hear that things are on the mend with your mum. Building a bond with her as you raise your little one will make many happy, precious memories. I think we have created more loving memories the last couple of weeks than I can ever remember from all the previous years. It really is wonderful seeing her be so affectionate with her because thats what I always missed and longed for.